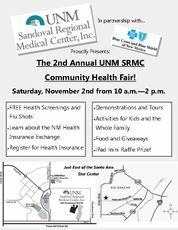 Families will be able to receive free flu shots, food and giveaways Saturday at the Second Annual UNM Sandoval Regional Medical Center (SRMC) Community Health Fair. The fair will also feature children's activities. 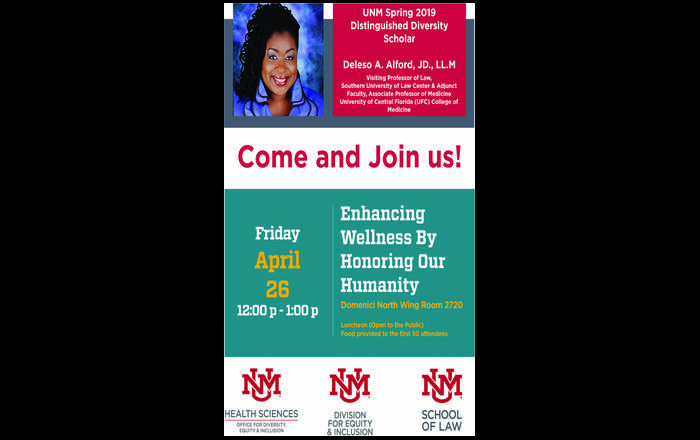 This year, SRMC is also teaming up with representatives from Blue Cross and Blue Shield of New Mexico, who can provide infomration about New Mexico Health Insurance Exchange and can provide assistance in registering for health insurance. 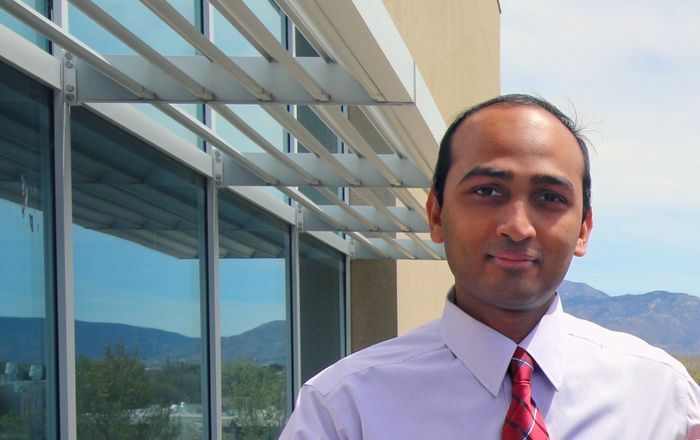 The fair will take place Saturday, Nov. 2, from 10 a.m. - 2 p.m. SRMC is located at 3001 Broadmoor Blvd. NE in Rio Rancho, just east of the Santa Ana Star Center.